Hi Everyone! I always like to close the school year (those are amazing words) with a treat from my children to their sweet friends. I feel like they’re accomplished something wonderful together so it does calls for a special little trinket. 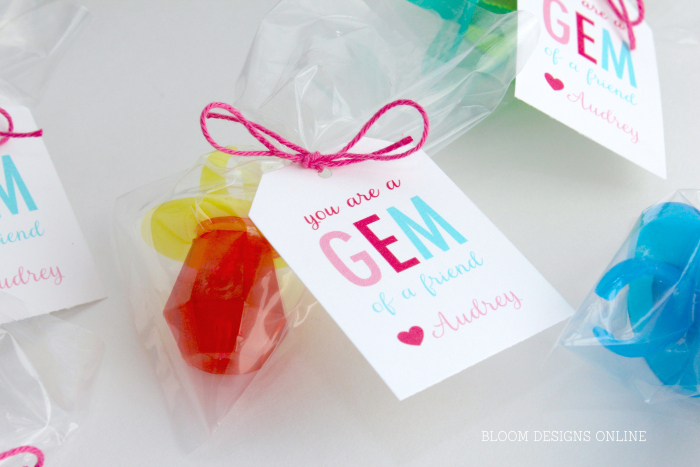 These You Are A Gem of a Friend favors are a great way to mark this event. 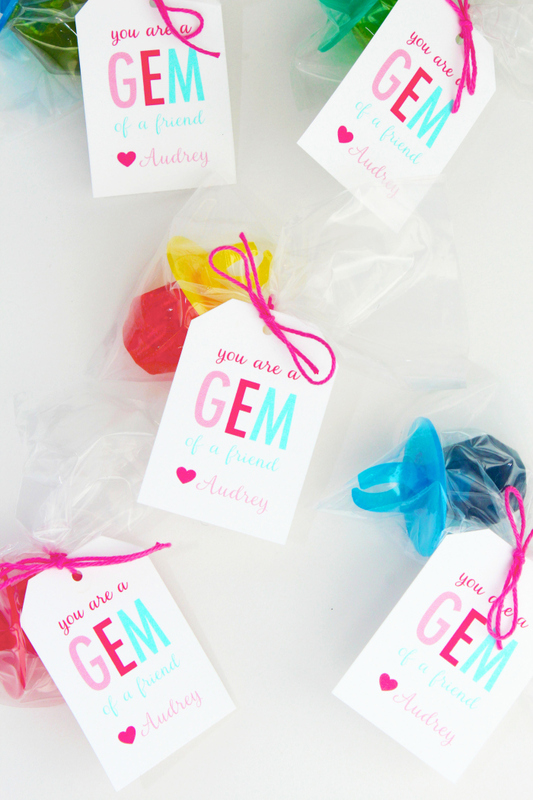 Ring pops are and have always been one of my kids favorite candies. They will never pass one up. 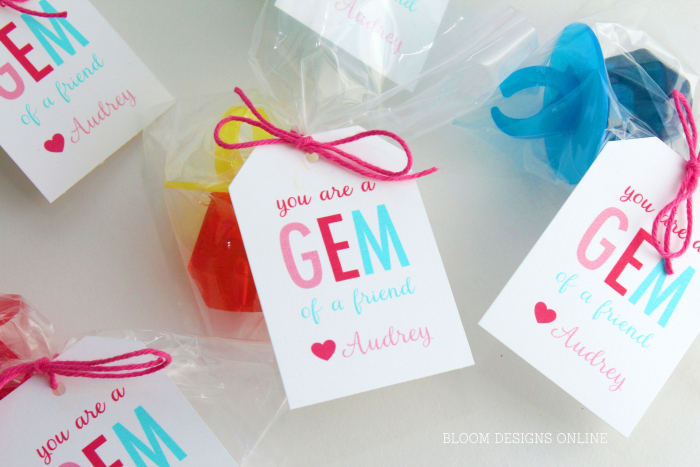 As always, the tags are free to all our Bloom followers. Simply click here to access the free download. The tags will be under our School Printables. For best print result, I recommend printing on bright white yardstick using a colored printer. So lovely! 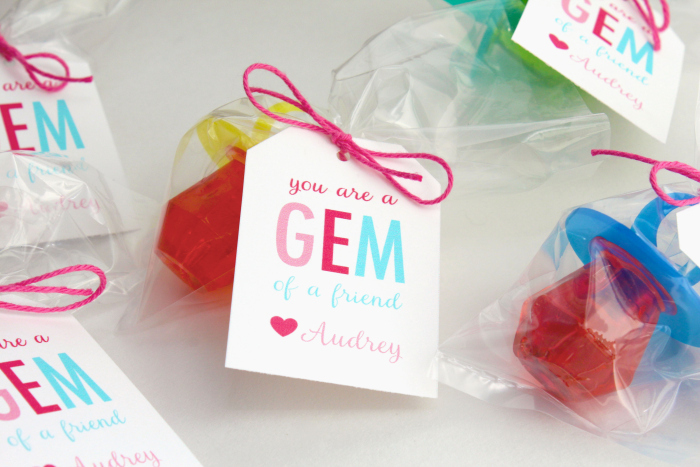 A perfect little sweet treat to end the year. I love your use of colour and white space. Thats so sweet Kelly – thank you! I could not find the printable on Facebook after I followed your page. Can you please email it to me? Love it thank you! 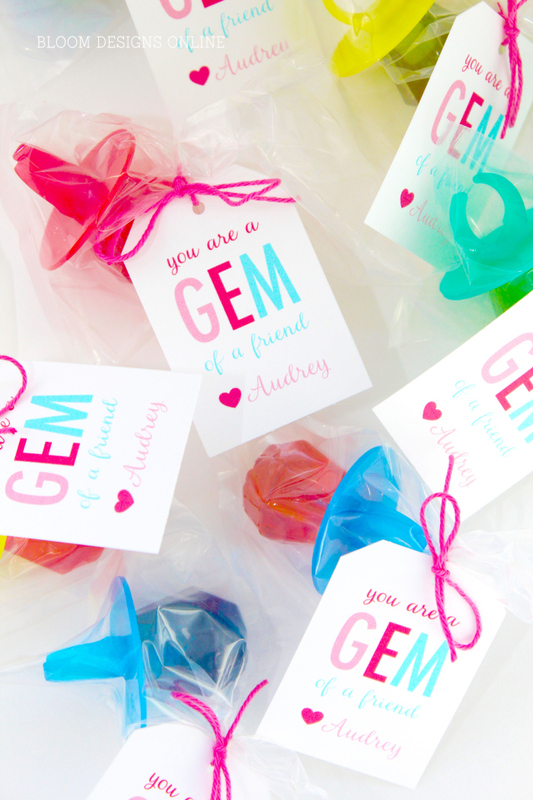 I followed the link to your facebook page to print the Gem of a friend printable but I couldn’t find it. Has it been taken down? It is so cute! Adorable! 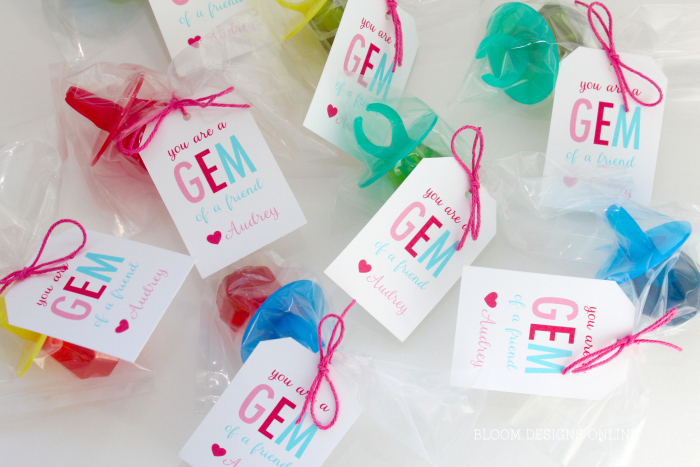 We bought supplies to make these for this Valentine’s Day for my daughters class, but something in the file is not working. I click and it takes me to the page, everything looks good, but it won’t save or print. Any suggestions? 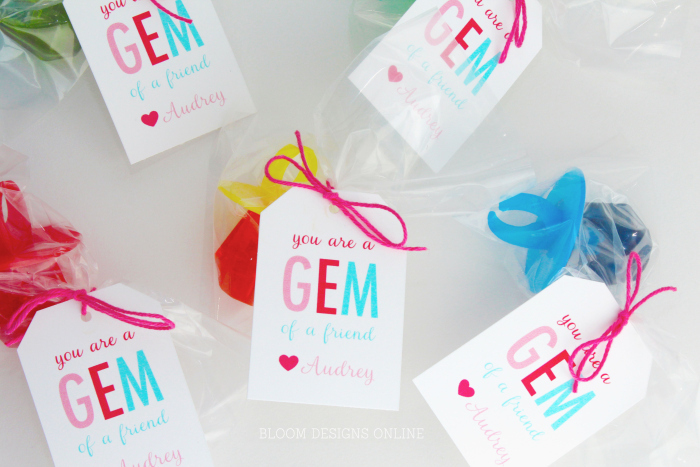 I’m looking for “Gem of a Friend” download. Where do I need to go to find it? Can you tell me where the school section is? I don’t see any sections on your Facebook page? So cute! Thanks for sharing at Merry Monday, hope to see you again next week!